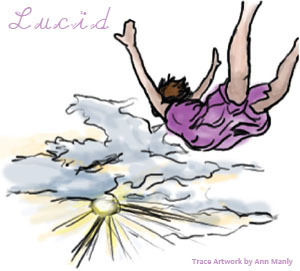 If you've ever experienced a lucid dream before, you know just how amazing of a place the lucid dream world can be. But how does everyone else experience the lucid dream world? It is this question that has prompted me to create this platform, where anybody who wants to can share their own lucid dreaming stories, and the world can perhaps gain some further insight on the phenomenon that drives people to explore deeper into their very reality. If you've ever experienced a lucid dream, whether once in your life or multiple times every night, I heartily encourage you to share your experiences. By filling out the form below you'll have your own page published on our site containing your writing. You'll add to the collection of lucid dreaming stories found on this page for others to learn from, and provide yourself a chance to possibly see the thoughts of others in response to your dream in your page's comments section. And without further ado, I leave you with what I think is an incredibly soul-probing quote, followed by the form for sharing your stories, and a list of the already submitted stories just below that. "Dreams are real while they last -- can we say more of life?" Can You Lucid Dream? Do You Want To Learn How? If you have ever experienced the wonders of lucid dreaming we would love to hear about it. Whether you're a full-fledged lucid dreamer or happened to have an isolated incidence, share your story and insight with us! Additionally, if you are not a lucid dreamer but want to be, or maybe are just fascinated with the idea of it all, share with us your thoughts, your challenges, your desires. Your story will appear on a Web page on our site exactly the way you enter it here. You can wrap a word in square brackets to make it appear bold. For example [my story] would show as my story on the Web page containing your story. You can also add a photo to your story below if you like. Do you have a picture to add to your story? Click the button and find it on your computer. Then select it. NOTE: The maximum image size accepted is 800x600. You will need to resize any photo larger than 800x600 using your own graphic software, or a free Web-based resizer, such as Picnik. You can add a caption using the second white box below. Click on the links below to read stories of others that have either experienced the wonders of lucid dreaming or hope to one day. They were all written by other visitors to this page, just like you. Is It Really Possible To Be As Lucid As People Say In Dreams? Zombie Apocolypses and Slanted Rooms? Lucid Floating And Battle With Creature. I Want To Stop Lucid Dreaming! I Lucid Dream A Lot. It's Pretty Cool. Overcoming a Nightmare Was the Start of Lucid Dreaming??? Unintentionally Lucid Dreamer - Preventing Problem Solving? Go from Lucid Dreaming Stories to What Is Lucid Dreaming?